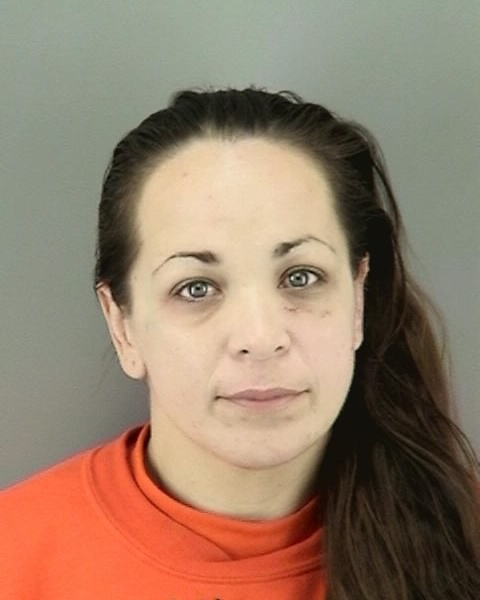 Police arrested a man and are seeking information on the whereabouts of a female accomplice who is suspected of stealing an expensive piece of medical equipment from a vehicle in San Francisco’s Marina District last month, police said today. Officers responded to the parking lot of a hotel on Lombard Street near Fillmore Street in response to a reported theft from a vehicle, but the suspects were nowhere in sight. The victim told officers that the rear window of his rental car was smashed and that the suspects stole a $1,500 medical device from the locked vehicle. Based on video surveillance footage of the vehicle burglary obtained by police at the scene, the pair was observed breaking into the victim’s vehicle shortly after 5 a.m. on July 7, police said. The video shows a man and a woman pulling into the parking lot in a four-door silver Dodge Charger, with dents on the passenger side door and visible license plates shortly after 5 a.m. on the day of the burglary. The female suspect was observed breaking into the victim’s vehicle and fleeing in the Dodge Charger, police said. Investigators issued a crime alert for San Francisco police officers to be on the look out for the suspect vehicle and on July 15, an officer spotted the vehicle and stopped the driver. The driver, identified as 39-year-old Etiuati Levi, with an unknown city of residence, matched the description of the male suspect seen in the video, according to police. Levi was found in possession of burglary tools and was arrested for second-degree burglary and possession of burglary tools, police said. Levi posted bail on July 19 and was apprehended again on July 24 on suspicion of committing another auto burglary in the 300 block of Octavia Street, in the Hayes Valley neighborhood, police said. An investigator identified the female accomplice as 33-year-old Kelly Auzenne, also with an unknown city of residence. Auzenne has been connected to several auto burglaries in the area and is wanted for five counts of second-degree burglary, one count for each separate incident, police said. Auzenne remains outstanding, but police have released a photo of her as well as video surveillance of the Marina District auto burglary, which can be viewed at http://youtu.be/3tXqFcxON64SFPD. The female suspect, who has long dark hair, was wearing sandals, blue jeans and a dark striped sweatshirt at the time of the burglary. Anyone with further information as to the whereabouts of Auzenne is encouraged to contact the SFPD Anonymous Tip Line at (415) 575-4444 or Text A Tip to TIP411 and include “SFPD” at the beginning of the message.